A Bluetooth® Smart compatible heart rate sensor, such as the Suunto Smart Sensor, can be used with your Suunto Ambit3 Sport to give you more detailed information about your exercise intensity. If you use the Suunto Smart Sensor, you also have the added advantage of heart rate memory. The Suunto Smart Sensor memory function buffers data whenever the transmission to your Suunto Ambit3 Sport is interrupted. This allows you to get accurate exercise intensity information in activities such as swimming where water blocks the transmission. 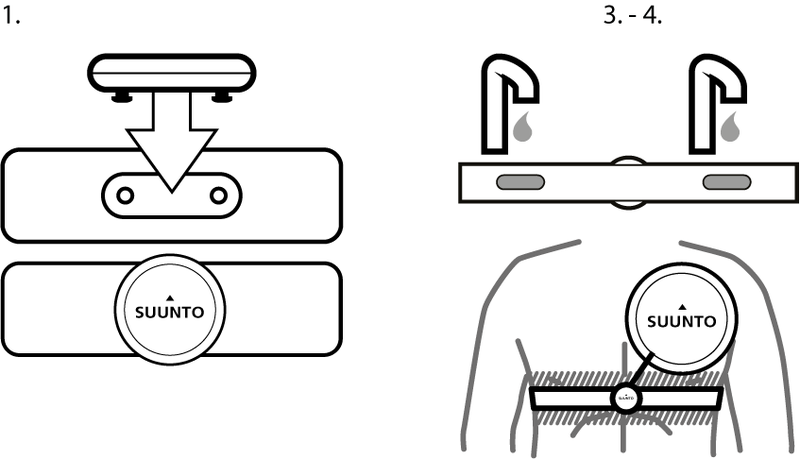 It also means you can even leave your Suunto Ambit3 Sport behind after starting a recording. 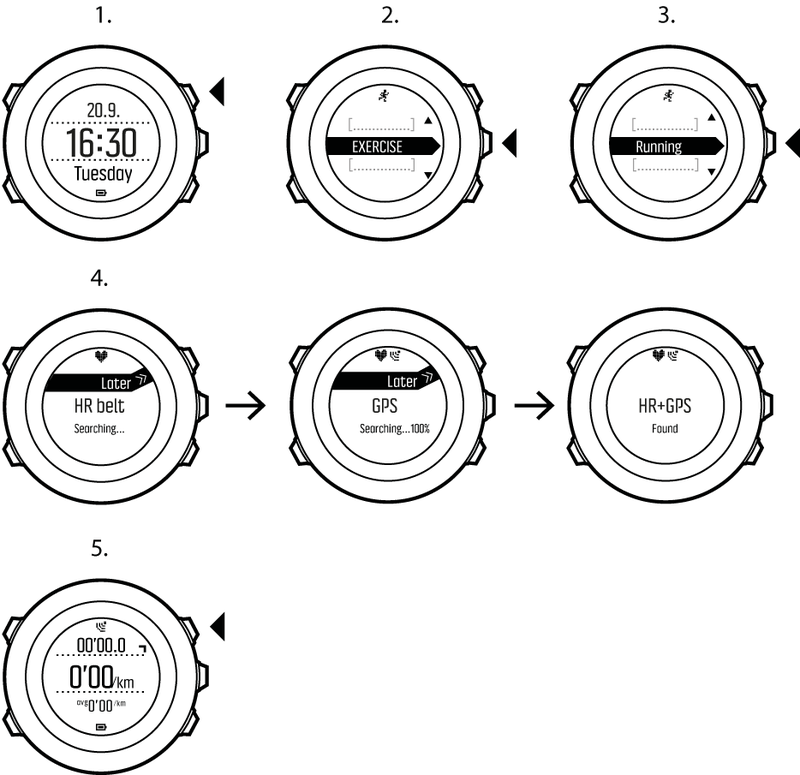 For more information, please refer to the Suunto Smart Sensor User Guide. Without a heart rate sensor, your Suunto Ambit3 Sport provides calorie consumption and recovery time for running and cycling activities where speed is used to estimate intensity. However, we recommend using a heart rate sensor to get accurate intensity readings. Suunto Ambit3 Sport gives you a wealth of information during your exercise. The information varies depending on the sport mode you have selected (see Sport modes). You get even more information, if you use a heart rate belt and GPS during exercise. Depending on the sport mode you have selected, your Suunto Ambit3 Sport allows you to record various information during exercise. If your sport mode has GPS enabled, Suunto Ambit3 Sport also records your track during your exercise. You can view the track in Movescount as part of the recorded Move and export it as a route to use later. During your exercise, you can make laps either manually or automatically by setting the autolap interval in Movescount. When you are making laps automatically, Suunto Ambit3 Sport records the laps based on the distance you have specified in Movescount.